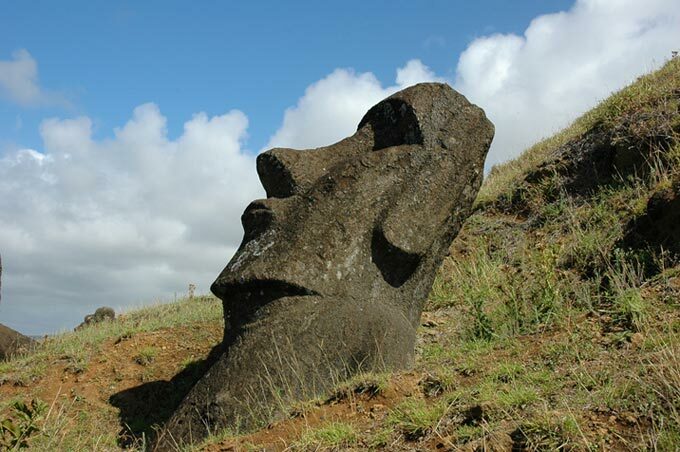 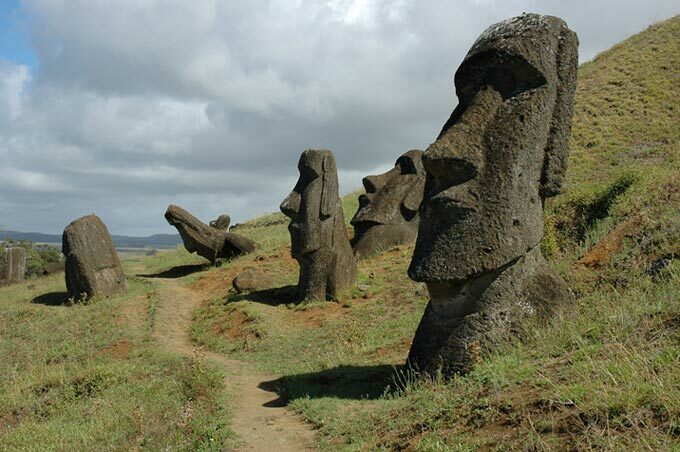 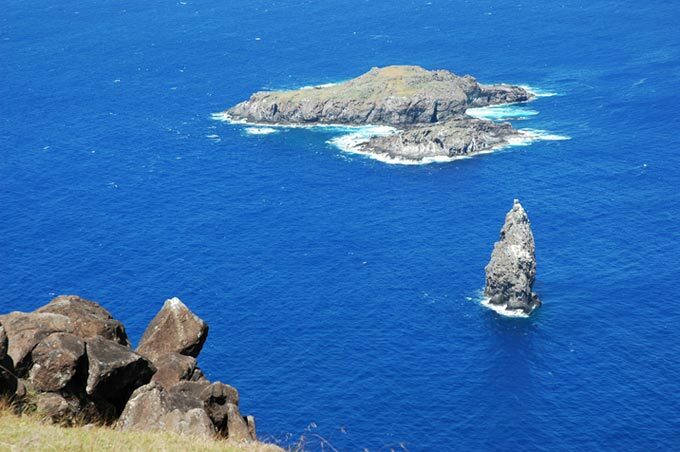 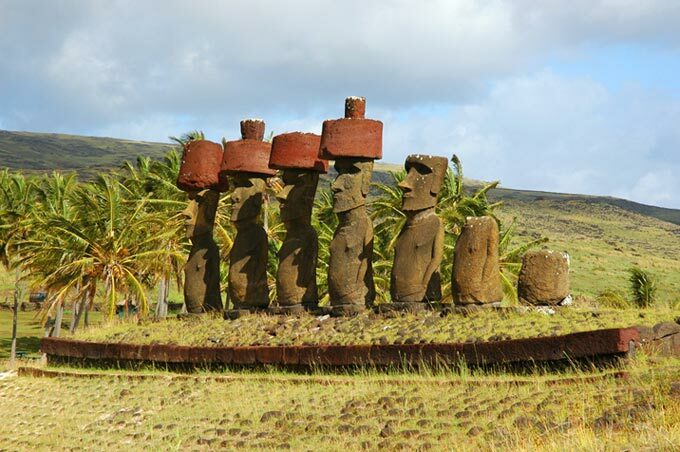 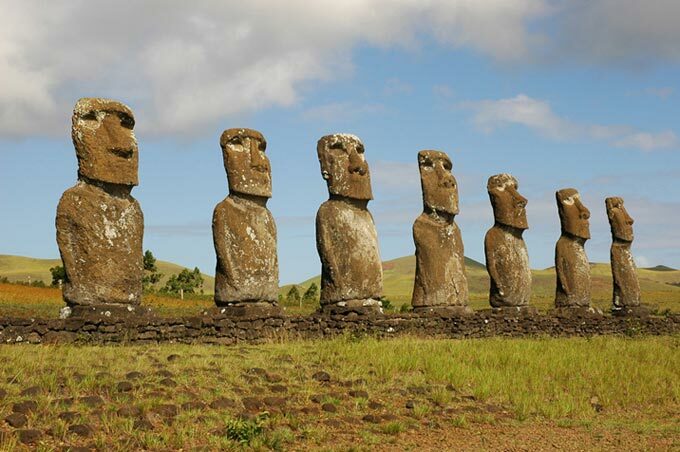 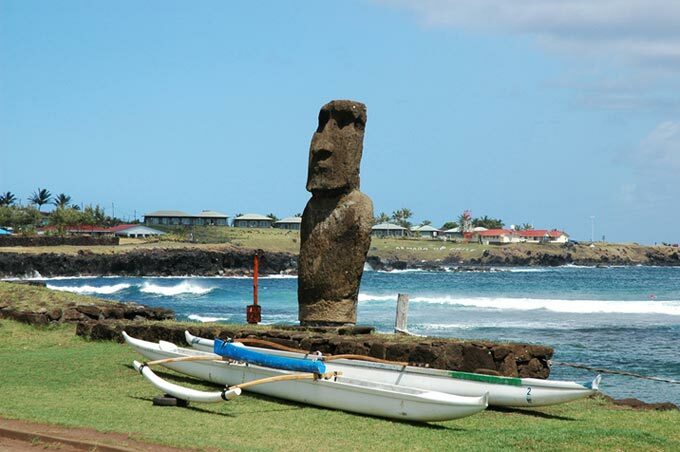 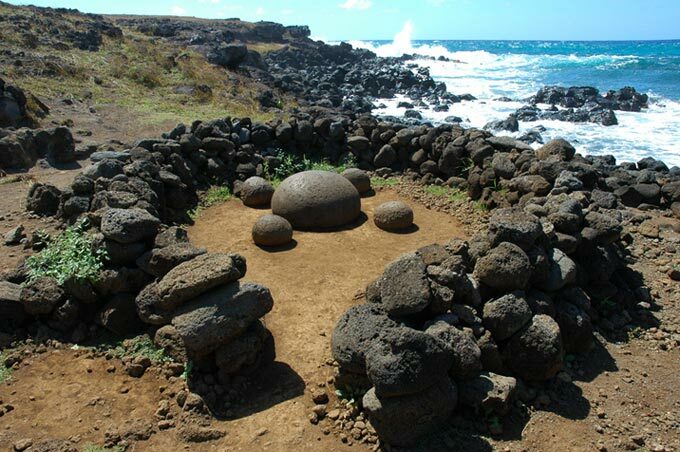 Among the planet's most legendary islands (Pitcairn, the island where the « Bounty' mutineers seeked refuge; St Helena, Robinson Crusoe's island or Coco island, the most extraordinary, and yet the most accessible of them all, is certainly the island that always triggered our dreams with its giant statues : Easter Island. 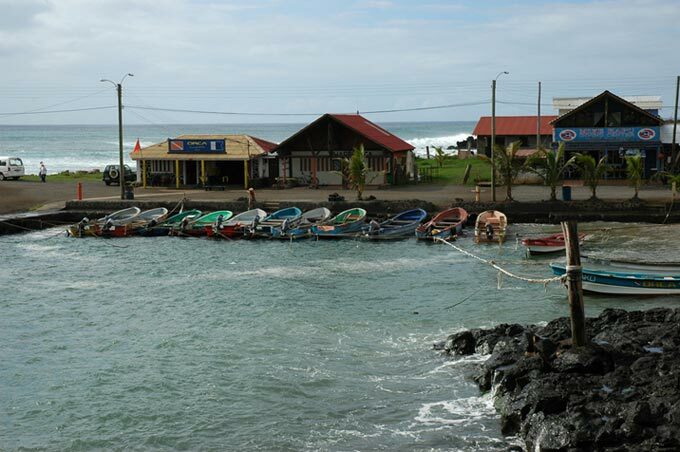 Don't mistake me; it's not that close, going there is not as easy as going to the Balearics or the Caribbean. 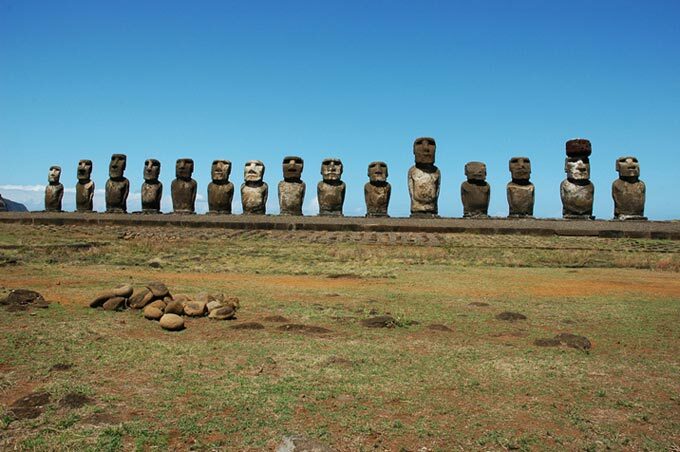 But if you have planned a trip to one of the two following, fascinating destinations, Chile or Polynesia, why not take advantage of the occasion to make a -small- detour, a few thousand kilometres: the airplanes of the Chilean airline, Lan Chile, when they fly from Santiago to Papeete, four times a week make a stop on the air strip of Easter Island, one of the longest in the world, that was lengthened as a rescue strip for the space shuttle! 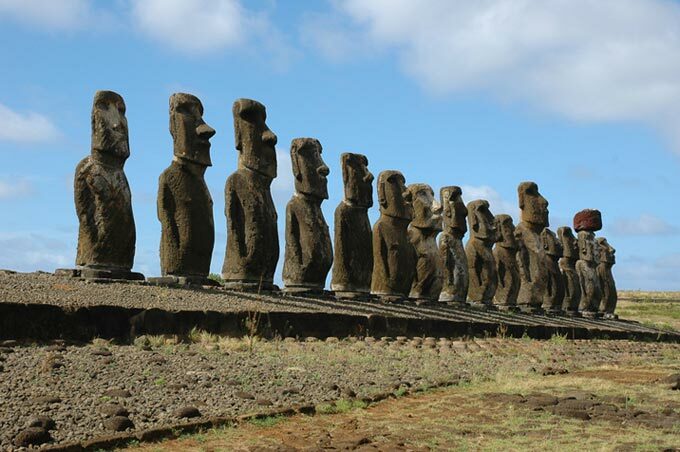 By choosing well one's season and one's ticket, a -voyage of one's life- to Polynesia could also be a -Voyage of one's life- to Polynesia and Easter Island, the south-eastern extremity of the -Polynesian Triangle-. 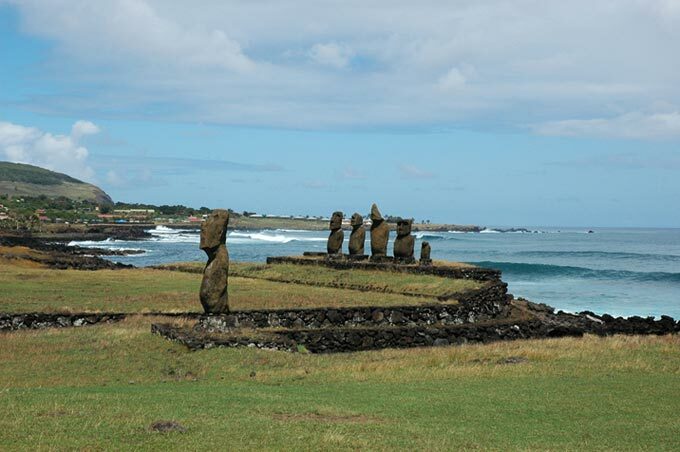 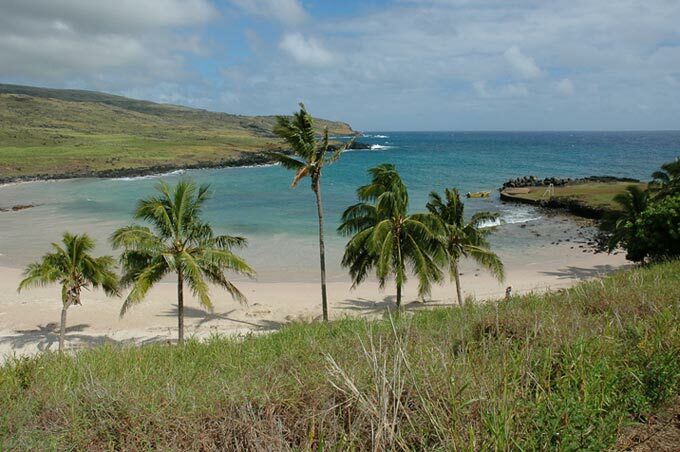 A few cruising sailors reach Easter Island on their way towards Polynesia, but the harbour is not well sheltered, and anchorages change according to the wind direction. 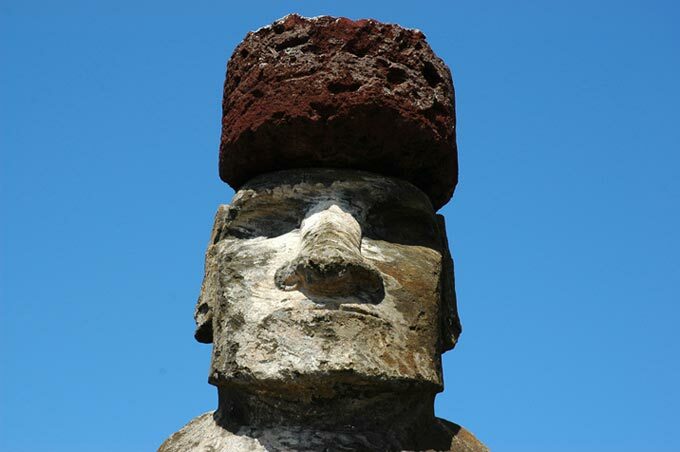 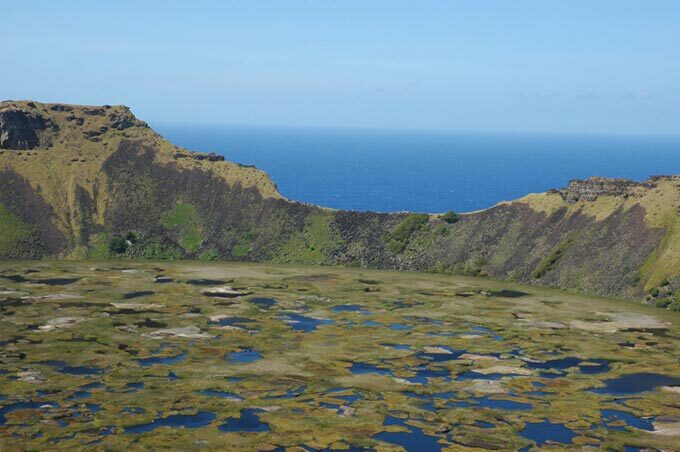 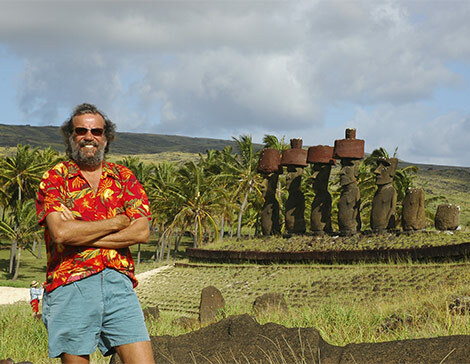 When you will land on Easter Island, which Polynesians call Rapa Nui, you will be welcome at the airport by one of the local families that run pleasant boarding houses ( a few more luxurious hotels have recently been created); for a few days you will be part of the thirty or so travellers privileged to discover these world famous monuments, that are infinitely more impressive when you find yourself at their feet !